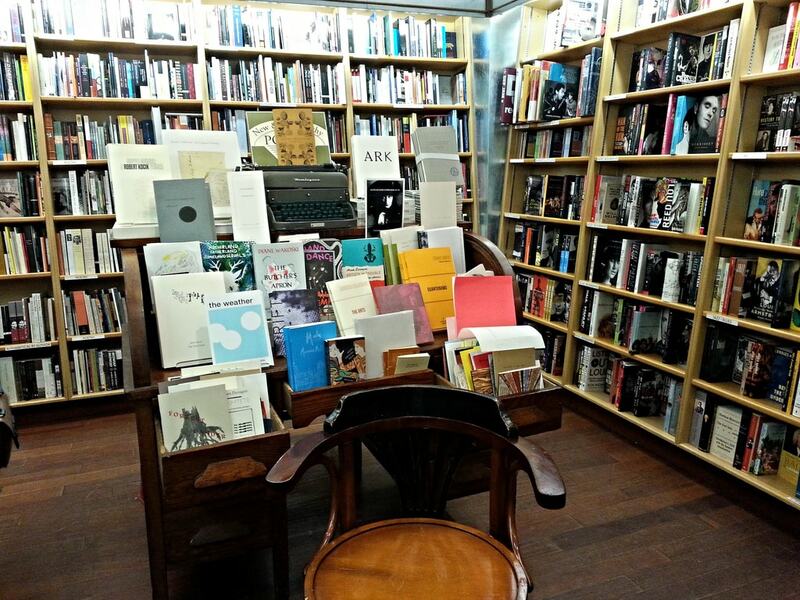 Bookstores and coffee go together like few other combinations, and New York City has no shortage of either. Whereas some cafes have limited space and are in a hurry to shoo you out, these are the spots that welcome long stays and provide a genteel ambiance as you work your way through a novel. Here are eight bookstore cafés, covering all five boroughs, that are happy to host you for the duration (but please, don’t forget to buy something, anyway). Staten Island’s quirky Every Thing Goes is everything you want in a local café and then some. 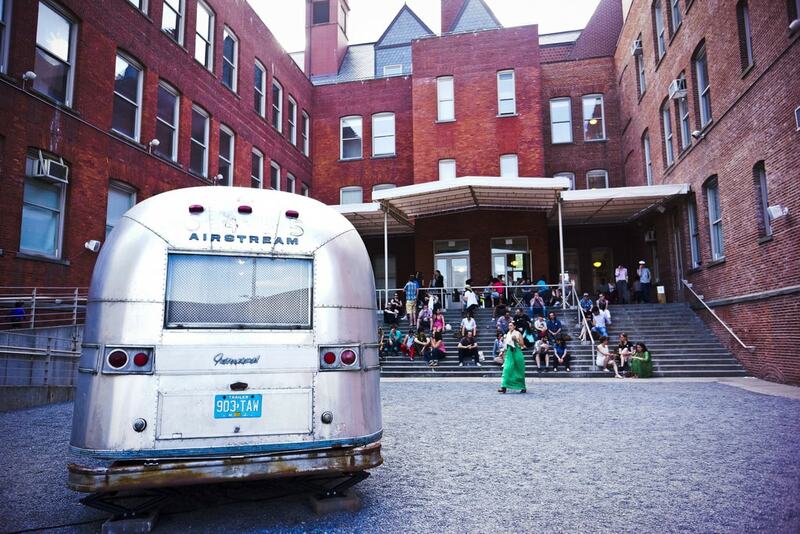 Billed as a “neighborhood stage,” the shop hosts all manner of local events while serving organic espresso. As for the wares, there’s more here to do than just leaf through used books—you can also purchase records and local art. 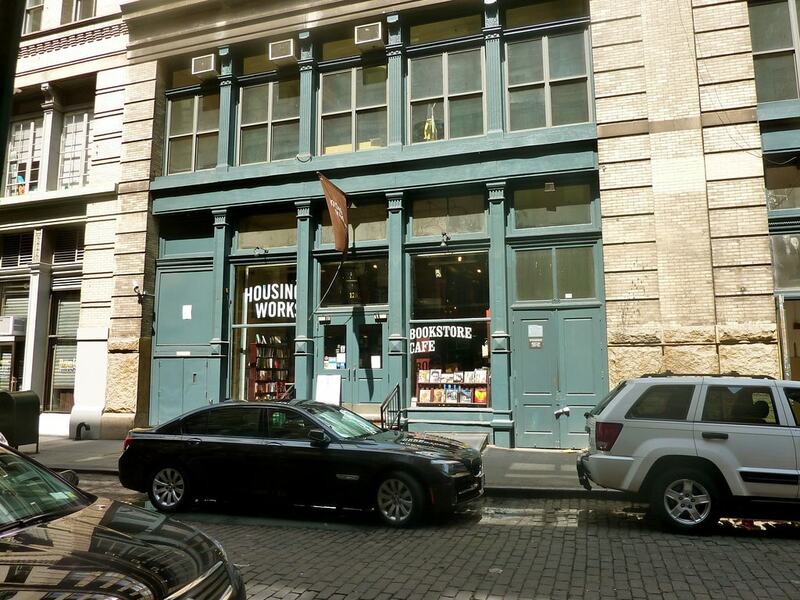 This impressive used bookstore in SoHo is a nonprofit first and bookstore/café second. Dedicated to combatting homelessness and AIDS, the venerable and essential Housing Works also sports a used record section, a fantastic array of coffee table art books, and racks of vintage science fiction books. And, it’s an excellent rest stop after a day in the city, where you can come down with a bowl of soup and then fly back up with a cup of joe. New(ish) to Queens, the Topos Bookstore Cafe in Ridgewood is a wondrous, plant-filled café and bookstore. It enlivens the block and is well worth the trip on the L train to the Brooklyn/Queens border. New and used books are available, as well as more than enough food for thought as you down a cup of the best coffee this side of Forest Hills. First off, the café at McNally Jackson is huge and never jeopardized by readings—those happen downstairs. So, why not come for both? Stocking international titles by country/region, as well as DVDs and magazines, McNally Jackson is the first word in new (as opposed to used) books sold at bookstore cafés, and it likely always will be. This Bushwick highlight is as relaxed as you’d expect from a home-brewed poetry spot and used bookstore. You can get coffee here and chill a while, or drop in for a recommendation from the proprietors who will be happy to point you in the right direction regardless of whether your tastes run to experimental fiction or juicy memoir. 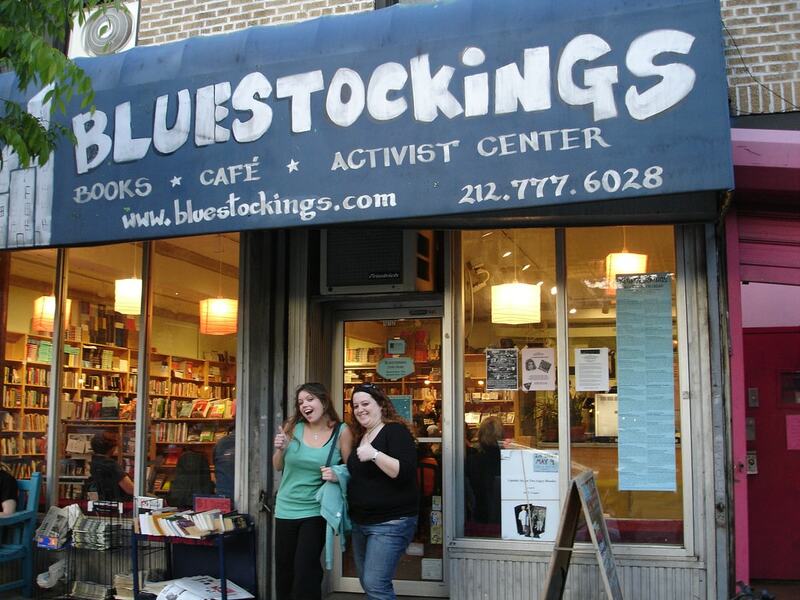 Manhattan’s uber-comfortable Bluckstockings serves excellent coffee and tea in addition to the wide selection of feminist and queer literature, among other topics. Given the store’s commitment to community, it’s not surprising that the café is a hub of socially-engaged New Yorkers. MoMA’s annex art space in a disused Queens schoolhouse opens into a full-service café on the ground floor. What’s even better is that the café is adjacent to the museum bookstore, which is famous for its selection of critical theory, small press and—as you would expect—art books ranging from classic to contemporary. Archestratus is not just a café, but it’s also a culinary bookstore and dinner party destination in Greenpoint! The homey cookbook store also offers bites and coffee to refuel your adventures into their shelves of arcane cooking lore. Check out the calendar, and subscribe to their newsletter to get the skinny on events, such as Monks & Craft Beer night and the Greenpoint Cat Club.